Guardians of the Galaxy Vol. 2 picked up where the first installment of the series left off. Our band of unlikely heroes continues to travel the galaxy, doing the dangerous jobs that others won’t. Meanwhile, Star Lord learns more about his mysterious lineage. You can expect more Awesome Mix music and plenty of dancing baby Groot. Our “No Spoiler” policy precludes me from going into more details, but check the movie out for yourself! Pro tip: Make sure you stick around after the credits. This movie includes 5 post-credit scenes! Physical Security – This might be the most obvious on the list. When you migrate to the cloud, your service provider takes on the responsibility of protecting the datacenters in which your data resides. This includes the fences, walls, security guards, and any other means of preventing physical access to your data. Host infrastructure – The host infrastructure refers to the underlying compute, storage, and platform services of the cloud. The vendor owns much of this configuration and management, but customers still have a responsibility to securely manage permissions and network access permissions. Network controls – These include the configuration and management of network elements like virtual networking, gateways, VPN, firewall, etc. The vendor owns much of the responsibility in a SaaS or PaaS model, but the customer shares responsibility in an IaaS model. Application level controls – Application level controls refer to the applications and services that are built on the cloud service. In an IaaS model, customers own the operating system and everything on top of it. Responsibilities include securing, patching, and baseline settings. As we scale towards SaaS, more of these responsibilities fall to the vendor. 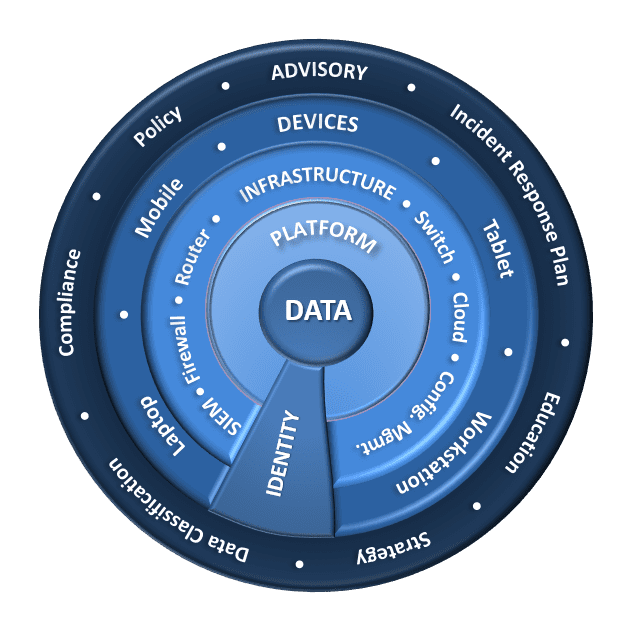 Identity & access management – As we come to identity and access management, we’ve reached the point where all cloud models have a significant security role. Customers must be responsible for delegating permissions and access to the employees. 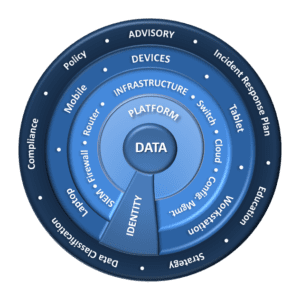 Client & end-point protection – While more of your data resides in the cloud, you are still responsible for protecting the devices that connect to that data. This includes encryption, policy enforcement, management, anti-malware, and other responsibilities. Data classification & accountability – Lastly, the responsibility of classifying data and managing how that data is handled can only fall to the customer. This requires customers to evaluate their data, determine the most sensitive data sets, and secure those data sets accordingly. Migrating to the cloud offloads a lot of customer responsibilities. It also can have the unfortunate effect of creating confusion about how these workloads are managed. 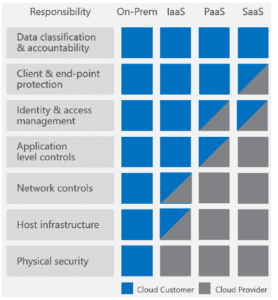 The shared responsibility model represented and described above is a good blueprint for any cloud service. 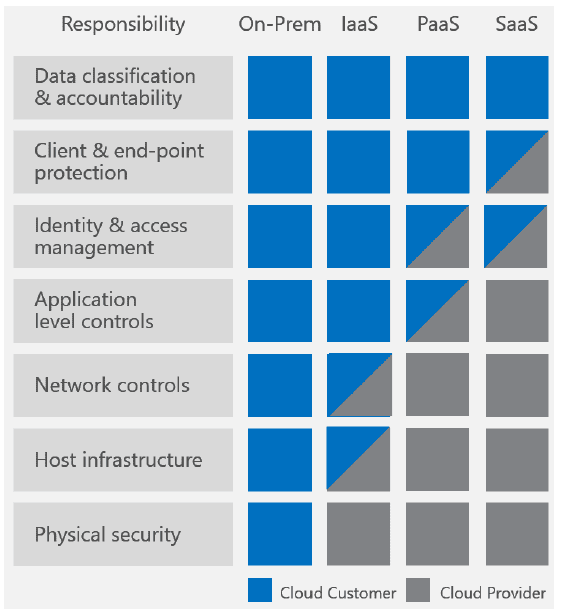 Are you looking for ways to secure your cloud workloads? Have any other questions on what steps your organization needs to take? Give us a call at 630.832.0075 or email us at info@peters.com.